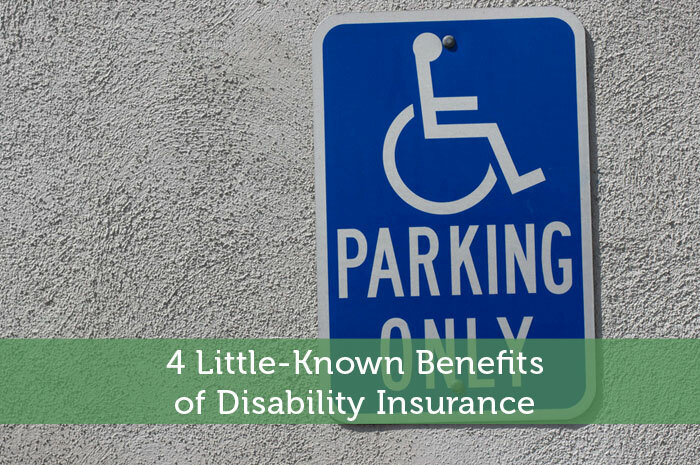 Of these four, statistics show that disability insurance is the one missing for most individuals. It might be that this insurance gets less attention in the media. It might be that people don’t understand the risk. Whatever the reason, those who are “working without a net” in regards to this important protection should consider these little-known benefits of disability insurance. This is a simple equation. Stress reduces the body’s ability to heal from illness and injury. Being out of work from a disability causes financial stress. If you’re hurt or ill with no income, your body can’t get you back to work as quickly as it would if you were getting paid. Being disabled without income also makes it harder to pay medical expenses, which can further increase how long it takes to get well. Disability insurance costs as little as 10 percent what you would pay for life coverage. Further, you’re more likely to need it at some point in your life than to make a claim on your life insurance – and you’re infinitely more likely to need it more than once. Statistics show only auto insurance is more likely to result in a payout to you, and disability runs at about one-fifth the price of average auto coverage. While you’re down, it’s important for your family to operate at peak ability to take up the slack. Unfortunately, lack of sleep and worry about you make them more likely to become ill than at any other time in your life. Though the payments from disability insurance won’t end all of their stress, not having to worry about money will help their immune systems – and help pay for preventive care that will keep most illnesses minor. If you want to leave a little something behind for your heirs, a long disability is one of the best ways to ruin that plan. The lost wages can force you to live off of savings, then borrow off of home equity, and dip into retirement funds until nothing is left to leave. Although disability insurance won’t pay for the costs associated with hospice or in-home care, it will keep wages coming in while you’re ill.
Any horror stories about losing wages from illness or injury? Join the conversation and tell us about them below. Author Bio: Before writing full-time, Jason owned and managed businesses in the martial arts, fitness, restaurant and insurance industries. He now blogs for businesses seeking promotion and readers seeking knowledge he learned the hard way. Good post. I think for many they just either don’t think about it or think they’ll never need it. I know that I am guilty of thinking I’ll never needing it, but unfortunately I don’t know the future. I also think they don’t market it very well in the media so some might not even know about it. Looking at the potential risks does cause one to think about getting it though. Ah, shame on me…I don’t have disability insurance and I know that I should. Great points, Jason. I don’t believe in having short-term disability insurance as that can easily be covered with an emergency fund. However, having long-term disability insurance is a must! Agreed, other Jason…with one exception. Some employer-provided short-term disability can cost as little as 2-5 bucks a month. If you’re in that situation, it’s totally worth it. My wife has short term disability only because pregnancy falls into this category (it was a nice little check to get on top of her vacation/sick time regular pay checks) I have a long term policy from my job and it is ok… I should probably shop around and see if I can do better. That’s how my wife and I got disability insurance in the first place. It turned out absolutely necessary, since she turned out to be one of the 0.5% of women who wind up hospitalized by post-partum depression. She was out of work for six months. Honestly, I really need to think about getting some disability insurance. We have talked about it, but it is very expensive. At the moment, we just haven’t pulled the trigger. If we were to get it, would you suggest long-term or short-term disability? The best plan is long-term with enough savings to cover the gap between when sick leave ends and long-term begins. The only exception is if your employer offers short-term as a benefit. Sometimes those short-term policies only cost you 2 or 3 dollars a month…in which case, you should carry both. Through your employer (like health insurance) will be much, much less expensive. Unless you plan to change jobs or quit soon, you’re probably fine with what you have. I don’t have disability insurance because, well, we don’t really NEED my paycheck. It’s helpful, but we can live off of just my wife’s income for a couple months. Self-insurance remains the best kind of insurance. I have a policy through my optometric association. It costs around $79 every three months. I would check through organizations you might belong to. Sometimes they offer great discounts. Kim, that is GREAT advice. Especially for self-employed people (who notoriously have some of the hardest times getting affordable insurance) trade associations and similar memberships can be your best route to good coverage. That’s another one that’s often overlooked — the critical illness coverage. Hospice and long-term care can eat away your assets even faster than a disability. I don’t know much about the options in Canada, though…could you share what you know? A lot of people overlook disability insurance and I hope this post makes them think about how much of a difference it could make in their lives should they find themselves suddenly needing it! While I agree with point #2, the reason people don’t buy disability coverage is because it’s expensive. Guess why it’s expensive? You nailed it in the piece: statistically you’re more likely to use it. It can be pricey, but if you shop around it’s not hard to find a reasonable deal. Try getting a quote from the guys who do your auto, home and life…. I was just looking over what we spend on it – and it’s about 1% of my paychecks to buy the ST & LT disability coverage through my employer. Not sure if that’s the best deal, or if the coverage is really 100% necessary. Feels pretty pricey compared to the likelihood of a payout… But I’m not canceling it until I research a bit more. Thanks for the food for thought. Thanks for your own comments. That sounds pretty expensive for employer-provided coverage. You might want to consider ditching the ST and replacing it with an emergency fund sufficient to covering the gap between when your sick leave ends and the LT begins. We recently switched health insurance providers and one of the questions that came up was if we wanted to add disability insurance with are plan. A lot of are employees turned it down because they didn’t want the extra added cost and that they had to be off of work for at least a week before the policy would begin to pay out. The truth is as an employer I would have gladly paid half of the cost for them but they didn’t want it. It only takes one slip up and it could be costing you big. I knew a guy who was using his pocket knife to cut some stuff with and he slipped and ended up cutting a tendon in his hand. As a result he was off work for nearly 6 weeks. If he would have had disability insurance he would have been fine. Speaking of ROI – the return on a short term disability policy for a working woman can be 300% annually. The benefit for normal childbirth hovers around 3 to 4 times the annual premium. Half of all women experience a need to leave work prior to delivery. And a portion will run into postpartum issues as mentioned by Jason. Of course the typical need for coverage still exists: accidents and illnesses. That’s definitely something to consider for working women. That kind of coverage could really help out in a time like that.